UFC Nashville Odds: Can Anthony Pettis upset Wonderboy and a run at welterweight? Top welterweight Stephen “Wonderboy” Thompson headlines UFC on ESPN+ 6 on Saturday, where he is tasked with welcoming former lightweight champion Anthony “Showtime” Pettis to the 170-pound division in Nashville, Tenn.
Thompson is a two-time former challenger to Tyron Woodley, but failed to wrest the belt from him on either occasion. 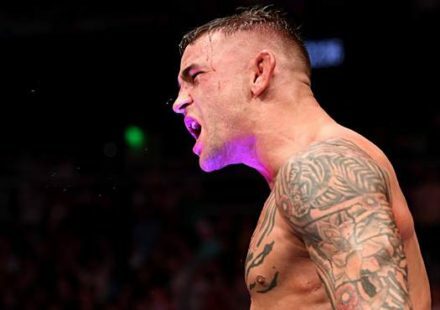 But now that Kamaru Usman has taken the belt from Woodley, Thompson sees the opportunity to make a quick return to title contention, and that begins with Pettis. Pettis is making his UFC welterweight debut in Nashville, but he has a lengthy championship pedigree, having been a former UFC and WEC lightweight champion. Having been to the top of the mountain at 155 pounds, Pettis believes he has a short run to get into welterweight title contention, especially if he defeats someone the caliber of Thompson. That means a $340 wager on Thompson would produce winnings of $100 should he win the fight. If Pettis can upset Thompson, a $100 bet would mean winnings of $280. The UFC on ESPN+ 6 co-main event is a little bit tighter, but Curtis Blaydes is still a -260 favorite to Justin Willis’s +200 in their heavyweight contest. 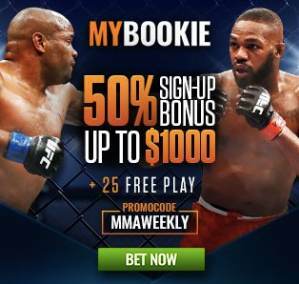 If you’d like to take a closer look at the UFC Nashville lines and prop bets or any of the other MyBookie lines, be sure to use the promo code MMAWEEKLY if you sign up to get your 50-percent sign-up bonus.